1-13 RACE CANCELLED. There are trees and branches down on the roads. The Winter Bowl is back for the first time ever! 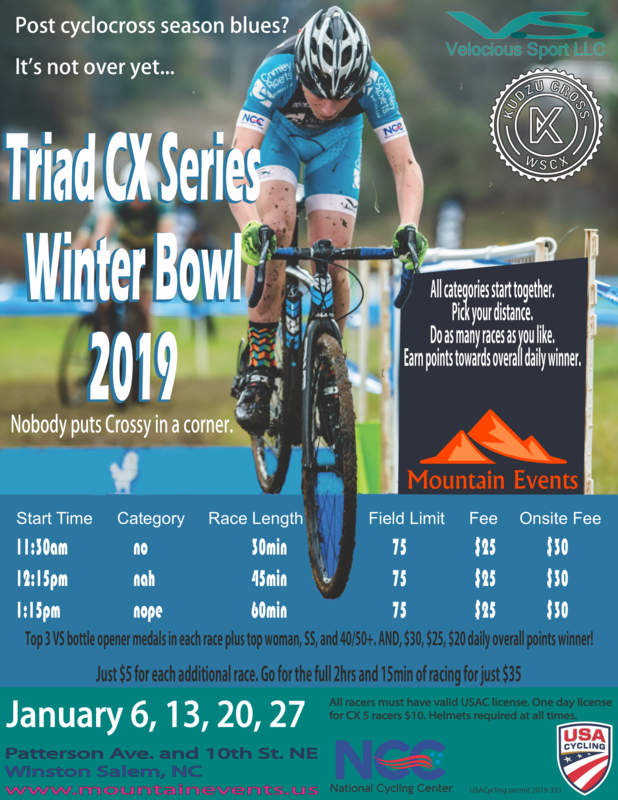 Four cyclocross races in downtown Winston Salem, every Sunday in January. You’re still watching the World Cup and World Championships, why not get out there and race your bike just like the Pro’s! … but slower. 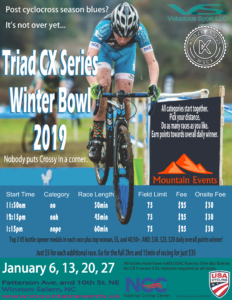 Where: Downtown Winston Salem Cyclocross venue, Patterson Ave and 10th St.
Triad CX Series RACE #4 RESULTS ARE UP!